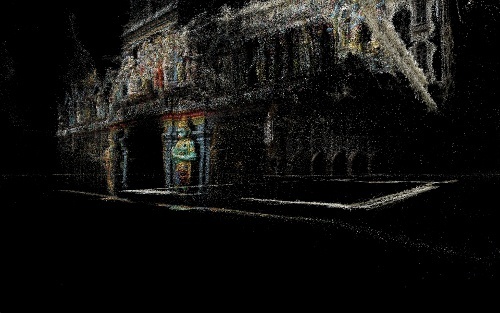 Exploded Views 2.0 is an interactive installation where the visitors navigate through a surreal and dreamlike audio-visual city landscape built up from ‘point clouds’. 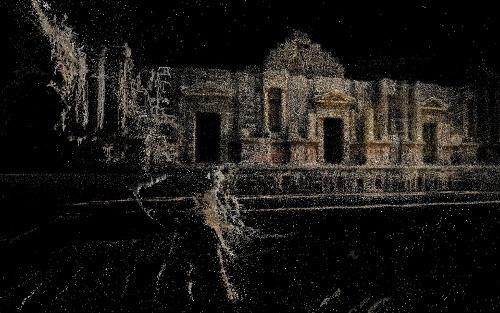 These ‘point clouds’ are generated from online photo collections that can be found on photo sharing websites. With a giant trackball the observer’s sets the 3D images into motion and reveals fragmentised cityscapes from all over the world. 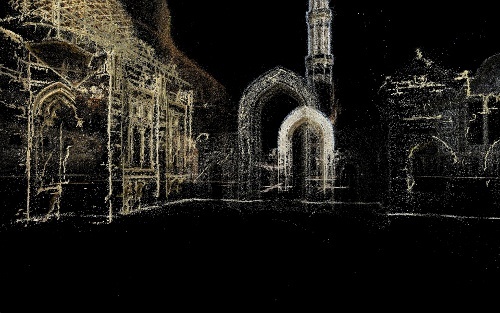 The city landscapes are constructed with an innovative 3D scanning technology that creates a surreal and dreamlike atmosphere. These 3D scans are meticulously assembled using complex algorithms from an enormous pool of photographs. 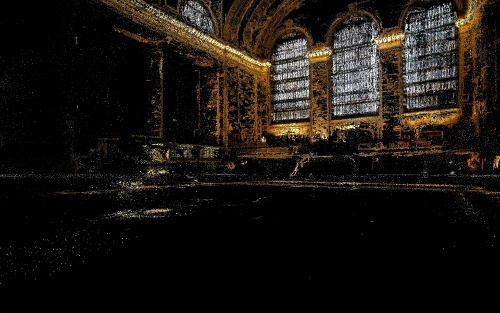 Playing with the possibilities offered by interactive 3D imagery, this installation purposefully places the viewer in an intensely absorptive experience. However, what is actually offered contradicts the reality of the physical and illustrative perception by mediating a juxtaposed dreamlike encounter. 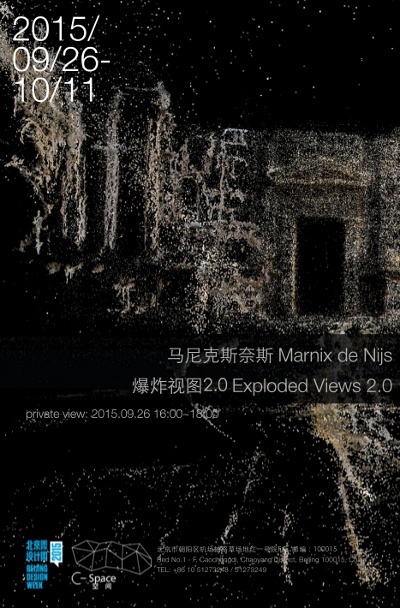 In Exploded Views 2.0, de Nijs further investigates the representation of global urban environments and comments on the prominent role the World Wide Web has assumed in constructing our view of the world and ultimately, on what we perceive as reality. 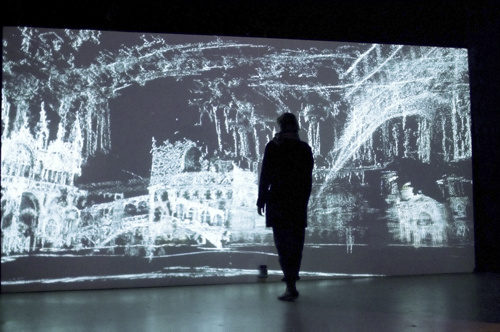 In contrast to an older version of the installation, the content for 3D city landscape is provided by users of social media platforms. The work analyses GPS tags of all the pictures available on photo-sharing community websites and reconstructs the top 400 most photographed locations into 3D. It represents the world according to the way it is photographically represented on the web. Courtesy of the artist and C-Space, for further information please visit www.c-spacebeijing.com.